"I like oceanography because the ocean is boundless and mysterious," said Bennett. 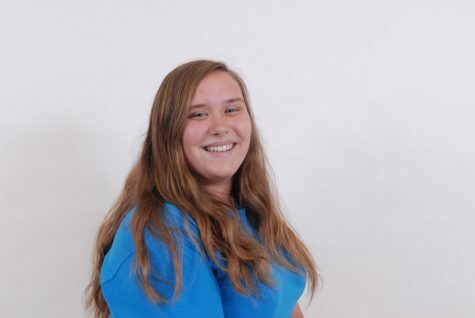 Her hobbies include participating in ocean cleanups, going to the beach, and indulging in softball and cheer as well. Her favorite place would have to be the zoo because she enjoys learning how to save animals and seeing first-hand how they are portrayed in zoos. Her favorite movie would have to be "Finding Dory" because the movie has to do with the ocean and the story keeps her on the edge of her seat. The music genre that she takes enlightenment to is country, simply because that's what she grew up listening to; she began to enjoy it as much as her family members. She lives in Pompano Beach Florida. You may be thinking that's way too far away, but don't worry she makes it work somehow. She owns many pets: a dog named Blu, a bunny named Loppy, two frogs named Aqua and Squirt, five horses named Razzle man, Lippy, Jade, Princey, and Chip, and a goat named Sheepy. This is all primarily because her parent's own stables as well as her never ending love for each and everyone of them. Moving more into wants and needs, and likes and dislikes, her favorite candy is Pocky. Brelee wants to be a marine biologist, she is extremely terrified of pregnant spiders because when you try to kill one, thousands of other spiders crawl out and it just gives her the heebie- jeebies, She is also afraid of needles because they are sharp, pointy, and hurt as well.